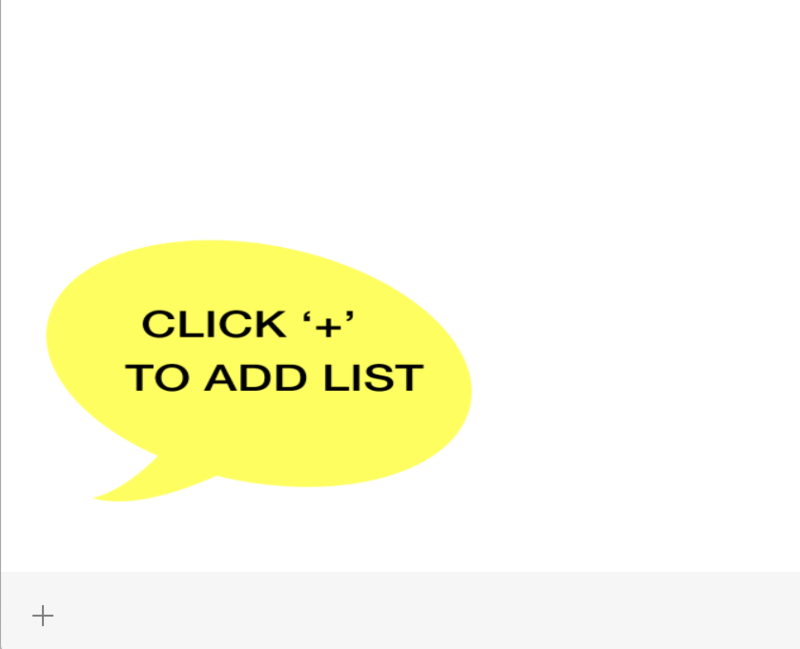 Creating a new list is simple – just click the ‘+’ button on the bottom left of the AddressLabels Window. You will then see the Create New List screen. You can select from the dropdown or type in a suitable name. If desired, you can select a year from the year dropdown. This can be especially useful for lists which are used on a yearly basis e.g Christmas lists. Note: although you can use the same list each year, e.g. 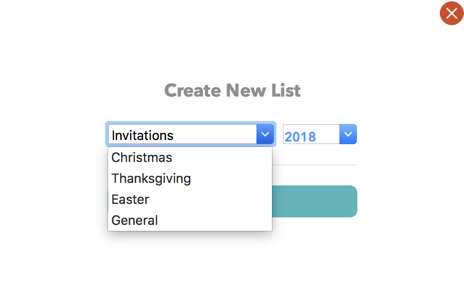 for Christmas, it may be preferable to create a new list each year, as this will allow you to track if you are getting replies from people.